Siaya Senator James Orengo on Saturday, March cautioned embattled National Super Alliance (NASA) co-principals: Kalonzo Musyoka, Musalia Mudavadi and Moses Wetang’ula to forget about meeting President Uhuru Kenyatta. Orengo argued that the new found truce between Uhuru and NASA coalition leader was an exclusive affair between the two leaders which should not be interrupted. “Please, let no one try going in there. We want the two leaders to talk among themselves," he said. According to a report by The Standard, Orengo also revealed that the mock swearing-in of Raila Odinga at Uhuru Park on January 30, 2018 was meant to create room for dialogue which the co-principals missed out on. He further asked them to continue staying out of the picture the same way they did during the controversial swearing and should not ask to be included in talks with Uhuru. 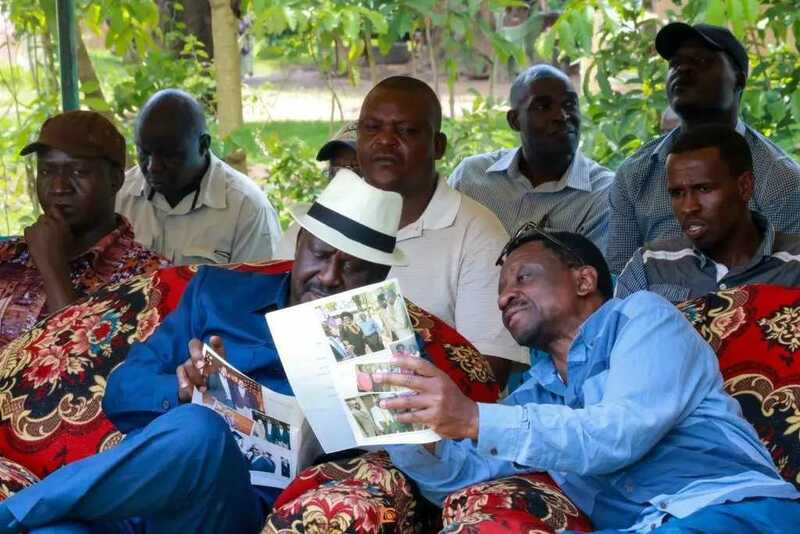 “If you know you were not in Uhuru Park, please don’t waste time demanding to be included in the talks,” said Orengo, at a burial attended by Raila. “We want to give them ample space without any interference,” he added. He further said the talks between Uhuru and Raila were not about search for “small jobs” and inclusion of other people could complicate the agenda. Orengo's remarks came days after Kalonzo Musyoka, Moses Wetangula and Musalia Mudavadi had planned to pay Uhuru a visit on Wednesday, March 14. They were however forced to shelve the plans after the president left for Cuba before the meeting could take place, until Uhuru returns from his trip. Garissa Township MP and Majority Leader, Aden Duale, had also taken a jab at the leaders for demanding to speak to Uhuru while calling them Squatters in NASA. "When Raila Odinga and Uhuru Kenyatta spoke, then the whole of Kenya spoke. So I don't know where the problem is," Duale said. A section of MPs allied to Mudavadi's ANC threatened to kick out Raila from the opposition coalition for abandoning the ship midway. They asked the three co-principals to identify a new leader and keep the opposition active. All the four NASA principals, however, met in Athi River on Monday, March 12, and agreed to support the Harambee House pact as they pushed for an all-inclusive national dialogue which has been met with resistance.